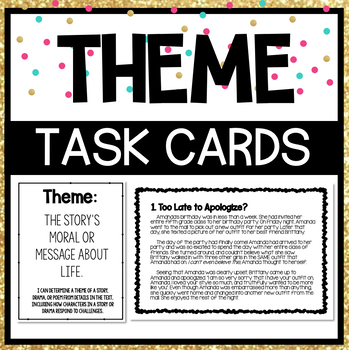 These short story task cards are a great way to practice identifying the theme. The recording sheet is in multiple choice format, which is helpful for test-taking strategies of selecting the best answer. 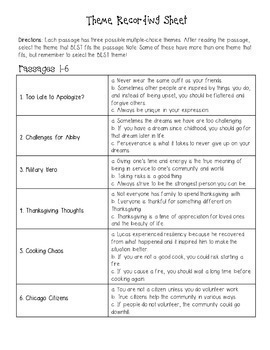 Students can use these cards individually or they could work in pairs. You can also use the cards with the whole class for a SCOOT. An answer key is included, so students can self-correct. 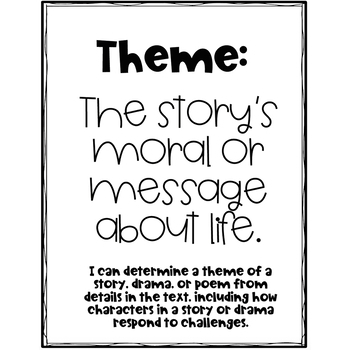 RL.5.2: Determine a theme of a story, drama, or poem from details in the text, including how characters in a story or drama respond to challenges. Claims and Evidence Task Cards -Top Seller!